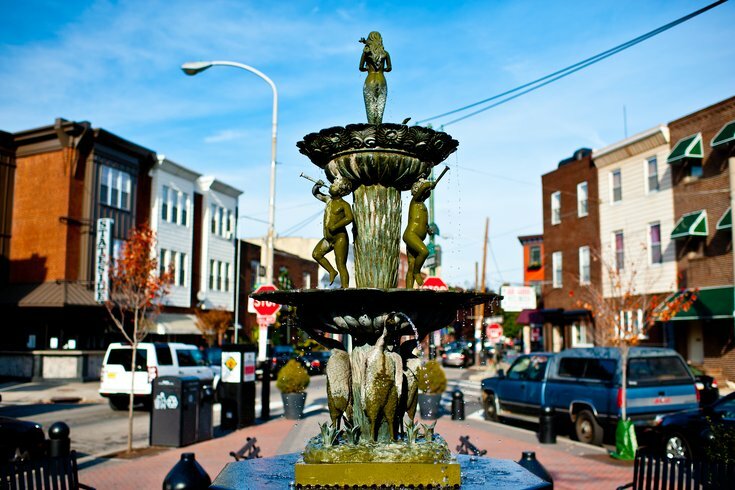 The Singing Fountain on East Passyunk Avenue. Passyunk's farmers market by the Singing Fountain will return May 23. On Wednesdays this summer, visitors will be able to shop for farm-fresh food between 3 p.m. and 7 p.m.
During the 2018 opening season, expect to find fruit and veggies from a family farm in Lancaster County, fresh New Jersey produce like blueberries and strawberries, ice treats from D’Emilio’s in South Philly, breads and rolls from North Philly's Lost Bread Co., authentic Mexican cuisine from the Castaneda family and cheese from Chester County cheesemakers. On May 23, there will also be live music at the fountain and a few specials at neighboring businesses, to kick off the weekly event.